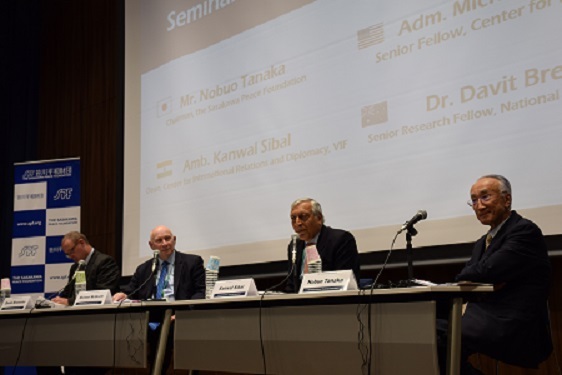 This project has explored the possibilities for cooperation to maintain peace and stability in the Indian Ocean Region and aims at formulating policy recommendations through dialogue among the major democracies, namely, Australia, India, the US, and Japan. 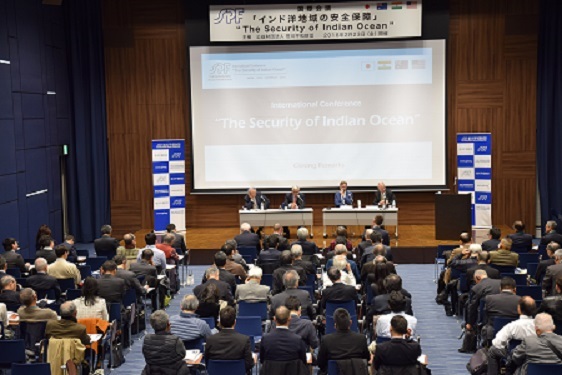 The Sasakawa Peace Foundation hosted the international conference on “Security of Indian Ocean” in cooperation with Australia National University, Vivekananda International Foundation (India), and Sasakawa Peace Foundation USA in February 2018. The sea lanes in the Indian Ocean are a common interest and collective property of critical importance in today’s world. However, only a few countries in the region are politically stable and there is no firmly established regional framework in the region equivalent to the ASEAN. Under these circumstances, many countries are approaching to the sea lanes and the surrounding countries, seeking to have greater influence or to gain economic benefits. Those approaches are likely to affect the security environment in the region. To deal with such situation, SPF has cooperated with partner institutions of Australia, India and US and investigated the possibility and the way to stabilize the region through cooperation among major democracies. 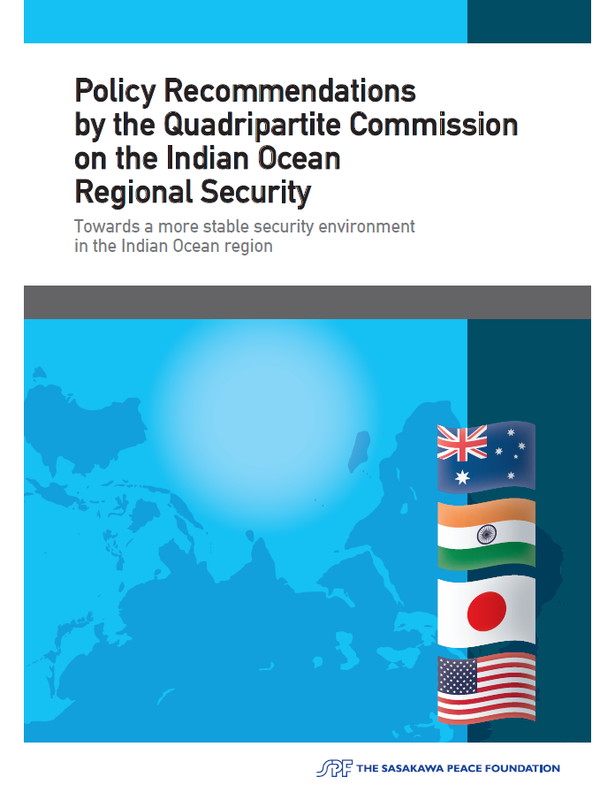 Based on the discussion in the international conference on “Security of the Indian Ocean Region” and result of the research, Quadripartite Commission on Indian Ocean Regional Security formulated policy recommendations. The Commission consists of the representatives of four institute, SPF, ANU, VIF and SPF-USA. Also, papers written for this project are published as appendix of policy recommendations. * The content of this policy recommendation does not indicate the views of the respective nations or specific organizations to which the members of the commission belong.